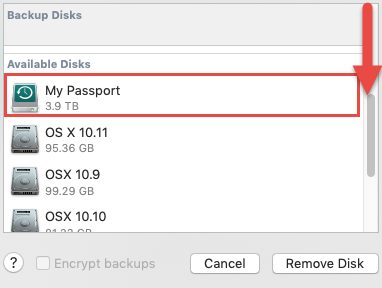 Time Machine backups can be encrypted to external drives and network storage shares adding an extra layer of data protection and privacy. 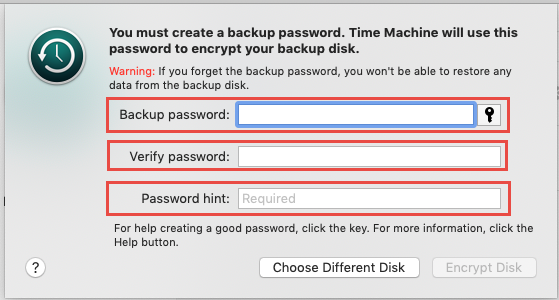 Encrypted Time Machine backups cannot be recovered if the password is forgotten or unknown. 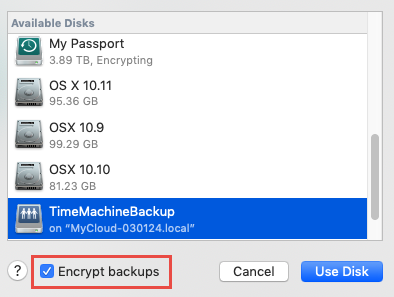 How to Encrypt a Time Machine Backup on an external drive. 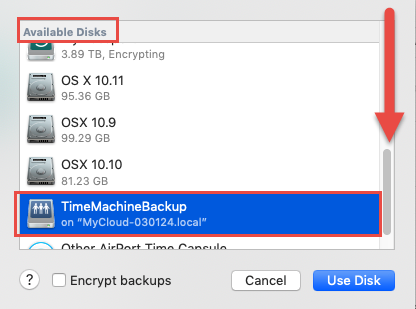 Important: Existing Time Machine Backups stored on Network Shares WILL BE DELETED when switching between Unencrypted to Encrypted backups. 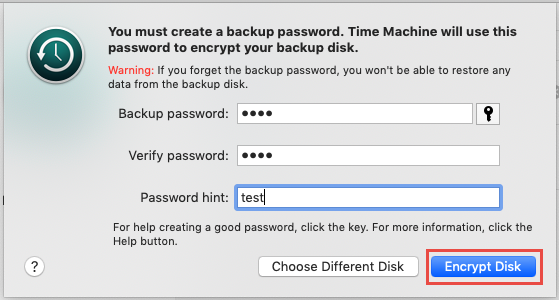 A message may appear The disk "TimeMachineBackup" already contains an unencrypted backup for this computer. Clicking Erase existing backup will permanently delete the existing unencrypted Time Machine backup. Click Use Unencrypted Backup to preserve existing backups instead of using Time Machine backup encryption. 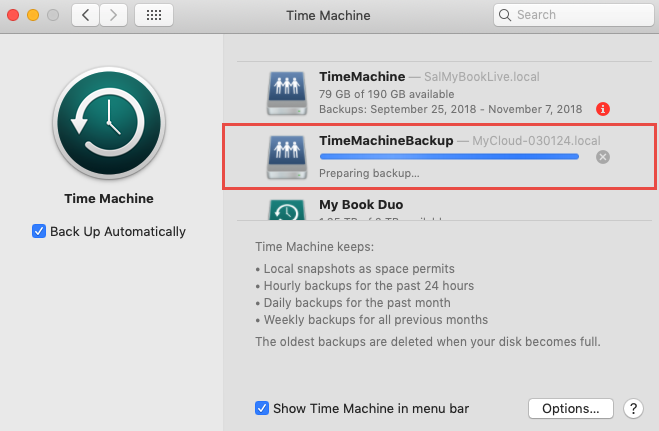 Existing Time Machine Backups stored on Network Shares WILL BE DELETED when switching between Unencrypted to Encrypted backups. 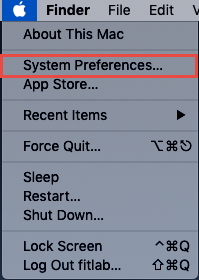 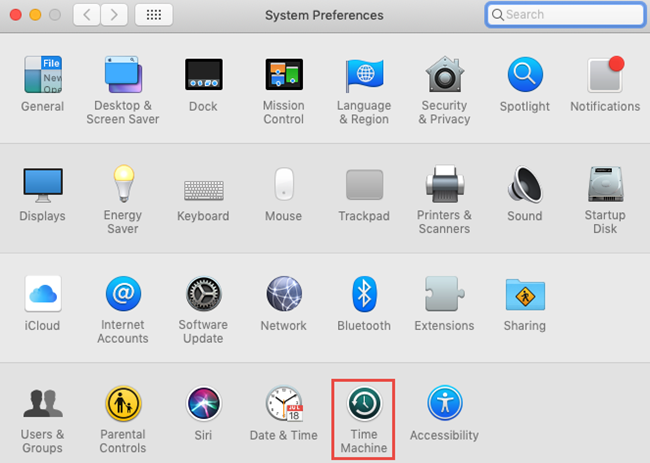 Connect the macOS computer to the network using an Ethernet cable for best performance and results for the first Time Machine backup job. 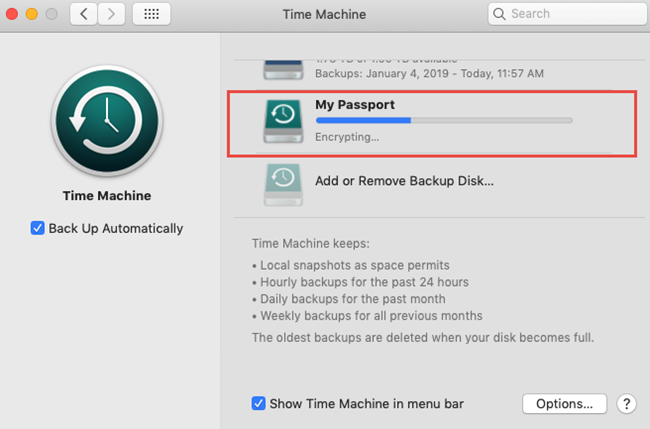 A Time Machine backup with encryption will up 24 hours or longer to complete. 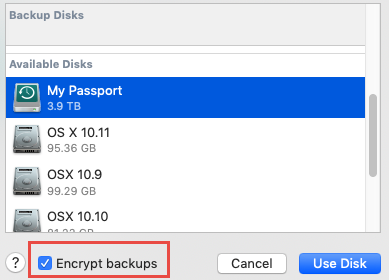 Existing Time Backup Backups stored on an external drive are not deleted and are preserved when switching between Unencrypted to Encrypted backups.